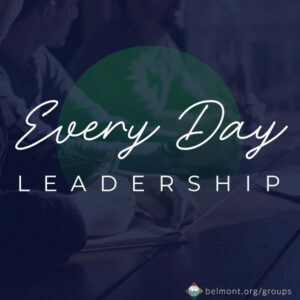 Join Phil Boeing as he leads this study group. You will be challenged and inspired by scores of Biblical accounts / testimonies, focused on the amazing potential we have to lead and influence others throughout our daily lives. Come ready to share your experiences, let’s hear the Lord and grow together! Wednesday / 6:30 – 8PM / March 27 – May 15 / Chapel / all welcome! This entry was posted in Group - Study. Bookmark the permalink.